Description: Jesus cannot be domesticated! In Resurrecting Jesus Kim asks the fundamental two-prong question, "What, then, can we learn from Jesus, and how can we build on the significance of his life and work as we do theology for our day in the here and now?" Kim abandons the traditional divide between criticism and theology and argues that a solid New Testament theology can be reconstructed from a critical study of the historical Jesus. Jesus is put back into the context of first-century Judaism in Palestine. 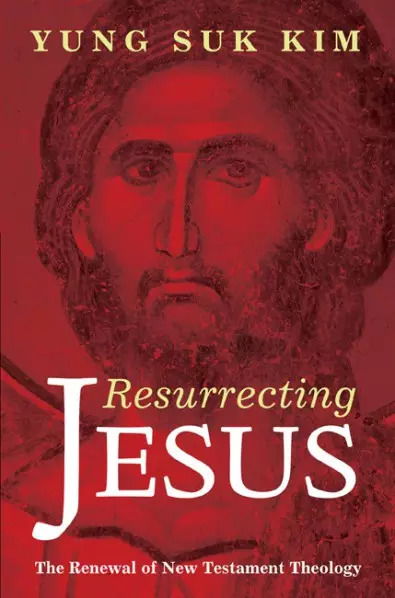 Resurrecting Jesus reexamines Jesus' life, work, death, and resurrection, giving readers: a better, clearer understanding about the historical Jesus and the New Testament writings that refer to him; an exploration into the significance of Jesus' life, teaching, and death, based not on doctrine but on his work of God in first-century Judaism and Palestine; and a redefinition of New Testament theology that is a process of discerning and engaging the historical Jesus and the New Testament writings. Citation: Joel Stephen Williams, review of Yung Suk Kim, Resurrecting Jesus: The Renewal of New Testament Theology, Review of Biblical Literature [http://www.bookreviews.org] (2018). Citation: Frank E. Dicken, review of Yung Suk Kim, Resurrecting Jesus: The Renewal of New Testament Theology, Review of Biblical Literature [http://www.bookreviews.org] (2018).